Designed to greatly simplifying the task of professionals & tradesmen in installation, setting up and maintenance of high precision CNC machines, test/measuring instruments & alignment-sensitive equipment. 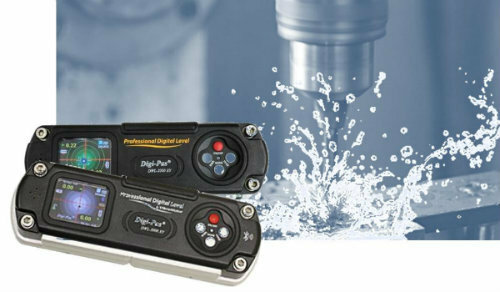 DWL-2000XY, DWL-3000XY & DWL-3500XY are 2-Axis precision Digital Levels & smart Inclinometers with high accuracy and wide measuring range of levelling, 2D angle measurement, tilt-alignment & vibration measurements, capable of real-time remote wireless and/or USB measurement with optional data logging features. The accuracy performance is verified by accredited calibration & test bodies in USA, Japan & Germany traceable to NIST, JIS & DIN.